← When is Messenger really shutting down? Posted on November 12, 2014, in Messenger, News. Bookmark the permalink. 94 Comments. Will any third-party clients ever come back online? They’re not working for 2 days already. And if not, is there a way to fix the Mercury Messenger application for Android? I use mercury messanger on my phone. How do i get on that as saying that error message. I’m afraid Mercury has been abandoned and the code is obfuscated so we can’t easily modify it. However, Trillian seems to still be working, so I’d recommend using that for now. Thanks for the reply. But is there a chance Microsoft fixes those IDs so third-party clients work again? Unfortunately, I think that’s pretty unlikely. Even prior to the Messenger “retirement”, Microsoft had said that third-party access to the MSN Protocol was not supported. In other words, for third-party clients, they can do whatever they want, whenever they want. If it were a mistake, they might revert it. But, given one day the 8.5 key was revoked, and then the 2009 key the next day after, that’s two separate changes, so I don’t think it was just a simple error. If enough people made enough noise and/or they lost another batch of Skype customers, that might give them thought to revert the changes. So far the tech press has ignored the problem completely. Running pidgin in OS X installed with macport. I used vi to replace old id with new id inside /opt/local/lib/purple-2/libmsn.so Everything works well again. I was using WLM thanks to Messenger Reviver, but now I’m trying to logging on WLM for half an hour. It says it’s not possible. Is it the end?? Does anyone else? Nevermind. I just installed the latest version of messenger reviver and it’s working again. This is quite cheeky but could someone please walk through the fix for Adium with me in baby steps? I am a complete novice when it comes to mac software too (wouldn’t be quite so bad if I was on Windows!). I’ve seen the couple of comments above in regards to Adium but it’s like a different language to me. You post saved my Pidgin on FreeBSD. How we got (and will get) to know such Application Id? Problem is, every time I close and reopen Miranda, I don’t appear online anymore in any of them. My workaround for that is to log into WLM too, then log it back off. After that, I stay showing online in Miranda/Outlook/WLM, can change status and even log on/off. It’s only when I close/reopen Miranda that I have to repeat the WLM login, in order to appear online again. Oh and I have the Messenger Plus! extension for WLM, which lets me have both clients logged in at the same time. I don’t know if that makes the difference, since I haven’t tried it without Plus!. Ok, I think I found the instructions I was looking for. First of all, just curious, why does your headline read “… gone off temporarily”? That seems to suggest if I don’t do anything it will be back on again, me being passive and someone on some other end is actively working on something that has admittedly gone wrong. But this doesn’t seem to be case? Secondly, I have installed MSN-pecan 0.1.3-1, will that do/work? As I noticed that there is a newer version: 0.1.4. If you were to download the latest code and compile it yourself from BitlBee, Pidgin, or even emesene now, the problem will be addressed (you can thank dx for this). However, it will be some days before most of these become binaries and even longer before they reach the apt-get repositories. That’s why I label it as temporary. That older version of pecan should be fine, I’ll admit I haven’t tried it, but the reason why pecan works as a solution is because even the latest uses an older version of the protocol that which will bypass the problem. I installed MSN-pecan 0.1.3-1, rebooted the computer, started Pidgin and got the same error as before. Was I supposed to do something else (like activate the plugin via the plugins settings in Pidgin or…)? Yep, you missed one step. You need to go into the Accounts in Pidgin and make a new WLM account with your Microsoft Account credentials and then turn on that account. You can then disable the MSN account. Yay! Now it’s working again. Thank you, Jonathan! – Go into the Accounts in Pidgin and make a new WLM account with your Microsoft Account credentials and then turn on that account. You can then disable the MSN account. Installation of this plugin also solves the login problem I had to my Microsoft account via Skype. Greetings Claire. The author of Mercury Messenger has made it difficult to modify Mercury and seems to have abandoned his client. IM+ also hasn’t been updated in over a year. I’d suggest you use Trillian instead. Hey Jonathon since the 16th of November 2014 I was unable to sign into WLM 8.5 I was getting the error code 81000378 “You cannot use Windows Live Messenger at this time because your contact list is not available. Please try again later” I was trying everything turning off firewalls re registering .dll files checking my contact list file all to no avail. Finally I came back here and found this blog. I was starting to think it was a problem on Windows Live server even though my friend could still sign in on his 8.5 to save time I just used your reviver program and got it up and running again Thanks a lot keep up the good work. Greetings Matt. You’re very welcome. To answer the reason why some people see this problem and some don’t – Messenger caches your contact list and is designed to operate even when the contact list server isn’t available. Unfortunately, the cache expires eventually and then Reviver will be needed. I tried an older version of Reviver that I had and it didn’t work..
HI everyone, I am using Adium 1.5.10 on Max running OSX 10.10.1 with MSN. As everyone has experienced, our WML is down and I am doing my best to understand the fixes here but failing badly. I’m sorry for the inconvenience, but can someone please do a really basic step by step for me to try and apply this fix. Thanks for the notice about MSN-Pecan as a Pidgin fix, switched over and it works perfectly again. Thank you for keeping alive MSN! My Miranda stopped to work and I was lazy to try to change the ID (plus the related “appearing offline” issues), so your Pidgin tips were quite helpful! Now I’m having an annoying issue: on one pc my partner just uses 3rd party clients because the official client doesn’t work properly on his laptop (we don’t know why, it’s an Intel i7 and it crashes everything! ), and in my personal laptop, I use the WLM 2012. I already restarted my client and the issue keeps repeating. Sorry for reporting an issue from the official client on the 3rd party clients topic. Struggling now with this contact list/appear online issue with Miranda. It appears that while authorized with the app id update to send messages etc…cannot download/update contact list. So Miranda is just using the local one or osmething. And all users are left without ‘allowed’ status, so you can’t message with them/they can’t see you. Would appreciate further updates as anyone makes progress with it! Or curious if anyone knows why Pecan etc are working…is it a server change or something I can update in my own plugin dll……. Actually I did fix aMSN for someone a few weeks ago and forgot about it, thanks for the reminder. To do so, download this, open, extract, copy over the addressbook.tcl in the aMSN\scripts folder and then restart aMSN. Unfortunately it seems they don’t have a working bug tracker, and I do believe it’s been given up on. Assuming you’re using Linux, you might consider switching to another client that’s also been updated, like Emesene. Ahh, no worries. It has a name override, and it’s not much to change it each log-in. I just dislike the nickname it somehow found (one from 2007 for some reason, not even one I more recently used on WLM) to use is all! I’m only on Windows, but have tried Emesene and disliked how it was set-up. Trillian is alright, but is very hard on my eyesight (I don’t know if Digsby has been updated yet). I don’t use messenger much, and aMSN is good enough for what I do. I’ve noticed Raptr stopped being able to log-in for more than a few seconds with WLM too, but I don’t use it with it (just added my account to check it). Jonathan thanks a lot for your tip. I have a hackintosh and since I use it a lot for work I am stuck on OSx version 10.6.7 (Snowleopard final version was 10.6.8). I use Adium, but version 1.5 installs on 10.6.8 not 10.6.7 which your fine patch applies to. Applying your patch on Adium 1.4 of course does not work. So for anyone interested out there patched libpurple with Text Edit (yes… Text Edit) on my mac doing a find and replace of the applicationid strings mentioned on this post and hey!!! I am up again. Perhaps someone stuck on other versions could do the same. Thanks for your post. Is yours still working? 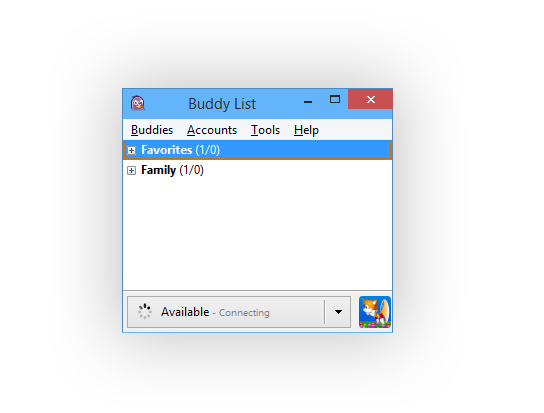 I get connection refused with the new Pidgin version 2.10.11, my patched version from 2.10.10, as well as msn-pecan. Is it officially dead now? Use HTTP Method’ in Pidgin, that will cause it work again. However, if you want to use the real Messenger protocol as before, you can change the messenger.hotmail.com server to msn.messengergeek.com and not use the HTTP method. These options are available both in the built-in Pidgin MSN protocol and Pecan’s WLM protocol. I switched the HTTP mode on for MSN, but I still see all my contacts ofline and can’t talk to see Is there anyway to fix this? Thank you for your help!